Paul Gauguin – Parau api, 1892 / Gibtʼs was Neues? Quelles nouvelles? From 8 February to 28 June 2015, the Fondation Beyeler in Basel will stage the biggest Paul Gauguin special exhibition in Switzerland for half a century. Fifty works from various museums and private owners in 13 countries will feature in this important and colorful Paul Gauguin retrospective – the most elaborate exhibition project ever arranged by the Fondation Beyeler. The temporary exhibition will enhance the foundation’s permanent collection of classic modern artworks. 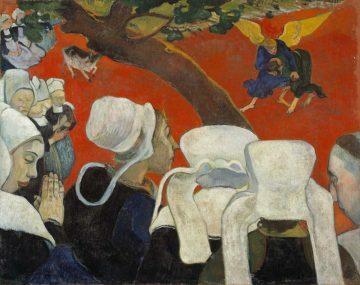 The Paul Gauguin exhibition in the Fondation Beyeler in Basel in northern Switzerland will be one of the cultural highlights in Europe during the first half of 2015. No museum in the world is exclusively devoted to Paul Gauguin (1848-1903) making this retrospective of around 50 works gathered from museums and private collections in 13 countries one of the most important exhibitions ever of Gauguin’s colorful paintings. The exhibition will focus mainly on the famous paintings Paul Gauguin created in Tahiti but will also include some of his multifaceted self-portraits and his visionary, spiritual paintings from his time in Brittany. It also includes a number of his sculptures that evoked the art of the South Seas. The temporary exhibition in the Fondation Beyeler is the first Paul Gauguin display of this magnitude in Switzerland in 60 years. Even in neighboring regions, no similar respective had been staged for a decade. This one will be worth traveling to Basel for during the first half of 2015. 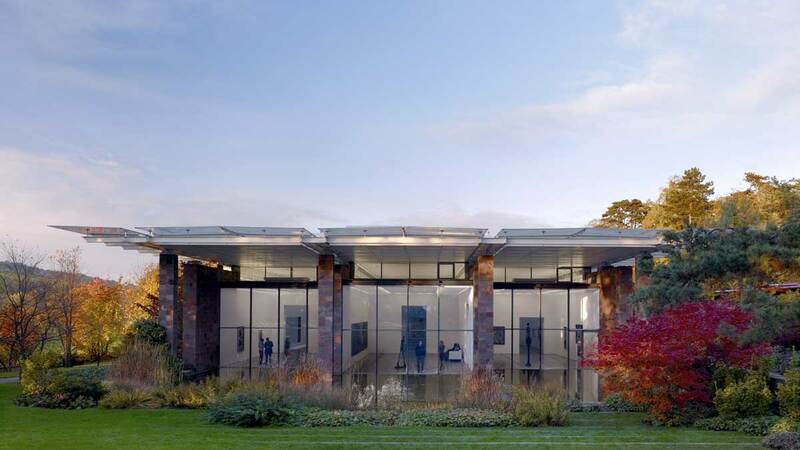 At the core of the Fondation Beyeler is the collection built up over more than half a century by the Basel art dealing and art collecting couple Hildy and Ernst Beyeler. It consists of around 230 works, mostly paintings, by 44 artists offering an extensive overview of classis modern art. The foundation’s collection covers the period late or post-Impressionism to American Expressionism and includes a number of non-European sculptures as a counterpoint to European and American art. The permanent and temporary exhibitions are staged in the beautiful modern Fondation Beyeler art gallery in a park in the small town Riehen in the outskirts of Basel. This purpose-built gallery was designed by Renzo Piano and completed between 1993 and 2000. It is a superb venue for exhibiting the large and colorful paintings of major classic modern artists. Artists represented in the foundation’s permanent collection include Francis Bacon, Georg Baselitz, Constantin Brancusi, Georges Braque, Alexander Calder, Paul Cézanne, Marc Chagall, Eduardo Chillida, Christo, Edgar Degas, Jean Dubuffet, Max Ernst, Luciano Fabro, Sam Francis, Alberto Giacometti, Vincent van Gogh, Wassily Kandinsky, Ellsworth Kelly, Anselm Kiefer, Paul Klee, Fernand Léger, Roy Lichtenstein, Jacques Lipchitz, Henri Matisse, Joan Miró, Piet Mondrian, Claude Monet, Barnett Newman, Pablo Picasso, Jackson Pollock, Neo Rauch, Robert Rauschenberg, Auguste Rodin, Mark Rothko, Henri Rousseau, Georges Seurat, Frank Stella, Antoni Tàpies, Mark Tobey, and Andy Warhol. The art museum of the Fondation Beyeler Basel has pleasantly long opening hours. The museum is open daily from 10 am to 6 pm, closing at 8 pm on Wednesdays. The museum is open on all holidays including Christmas and New Year. 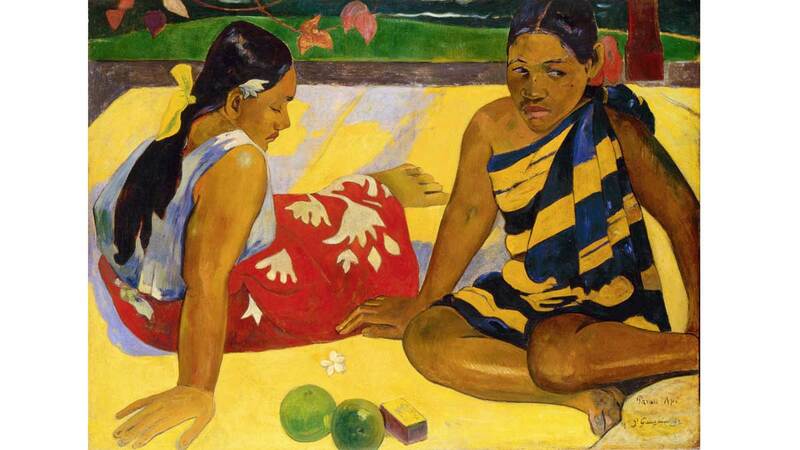 Admission depends on the temporary exhibition and will be CHF28 during the Gauguin exhibition. This is slightly more than cantonal art museums but not excessively expensive by Swiss standards. Students pay roughly half while children under 18 enter free with two paying parents. Separate tickets are not available for the temporary and permanent exhibitions. The Swiss Museum Pass isnot accepted but the interregional MPM MuseumsPassMusée is. Oddly, advance purchase online tickets are CHF1.80 more expensive and do not have any time slot advantage. Travelers using Swiss Railways will do better with a RailAway Kombi deal – it usually gives 10% discount on transportation and museum admission. The Fondation Beyeler is at Baselstraße 77, 4125 Riehen / Basel, in northern Switzerland. It is north of the Rhine and only a few hundred meters from the border with Germany. The art museum is best reached on public transportation, as parking in Riehen is limited. From the Basel Hauptbahnhof (SBB main train station), use tram 2 to the Badischer Bahnhof. Change here to tram 6 (direction Riehen Grenze) and get off at the stop: Fondation Beyer. Total traveling time is just less than half an hour. An alternative is to use the train to Riehen station from where it is an easy five-minute walk to the museum. The museum has a rather posh restaurant in the Villa Berower in the adjacent park. Cheaper fare is available in many further restaurants and bakeries in between the museum and the train station. Many further excellent museums can be enjoyed in Basel city while the old town is picturesque and the Münster church has some magical features too.